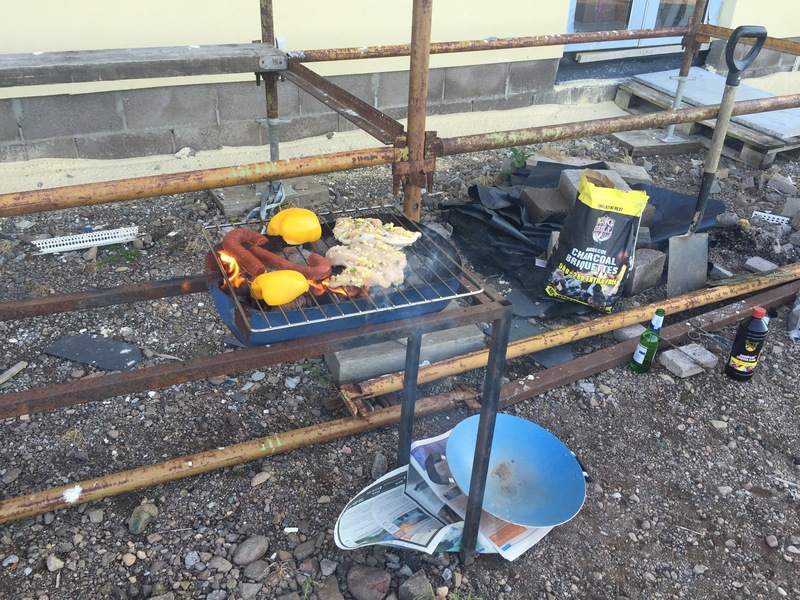 It’s officially BBQ season in the UK….or so they say….and here at Blunty’s Mill we managed our first (possibly only) BBQ of the year on Saturday night, marking the first meal cooked somewhere near our new house. We’ll get there soon and we’ll give you a tour of our new kitchen as soon as we’re settled. Before you ask where we got such an accomplished looking BBQ, you should know that Charles made it awhile back and it’s actually pretty genius as BBQs go. No gas to worry about, no faffing about with lids and wheels and very limited cleaning needs. In fact the grill can go straight into the dishwasher once it’s cool. 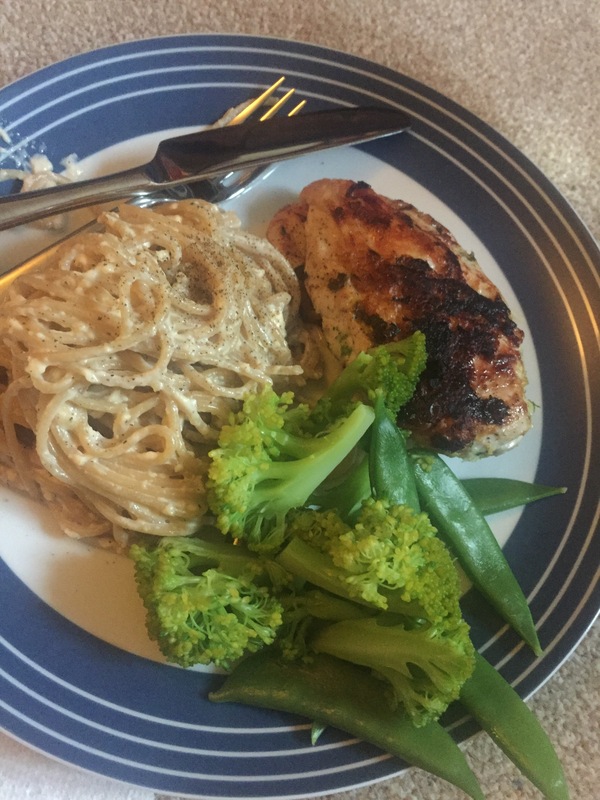 Anyway, one of the resounding successes of said BBQ was chicken marinated in an impromptu combination of tasty things we had in the temporary kitchen we’re using while we await the completion of the house, and it was rather a success. So much so we’ll be having it again tonight with pasta. Like many BBQ recipes, this one works with all sorts of accompaniments, from salad to rice or chips, so it’s a great one to have in your back pocket. 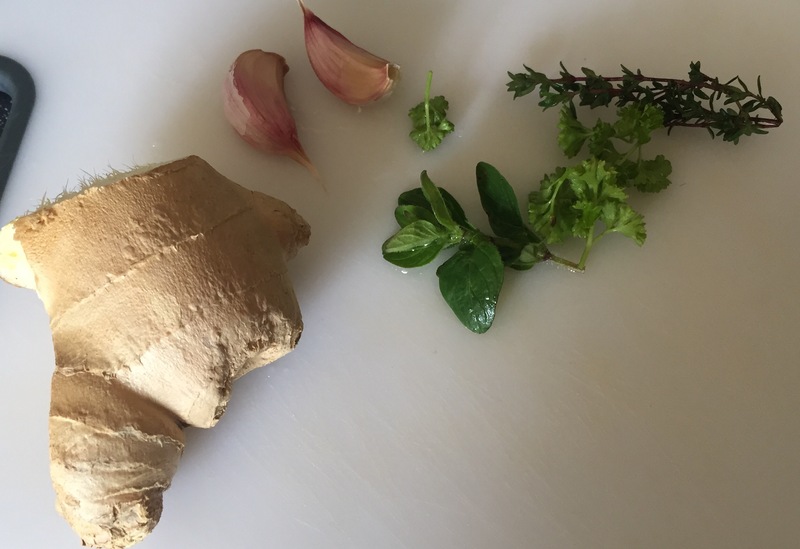 It would also be cracking with salmon or prawns – fresh and lemony with a ginger punch. 1. 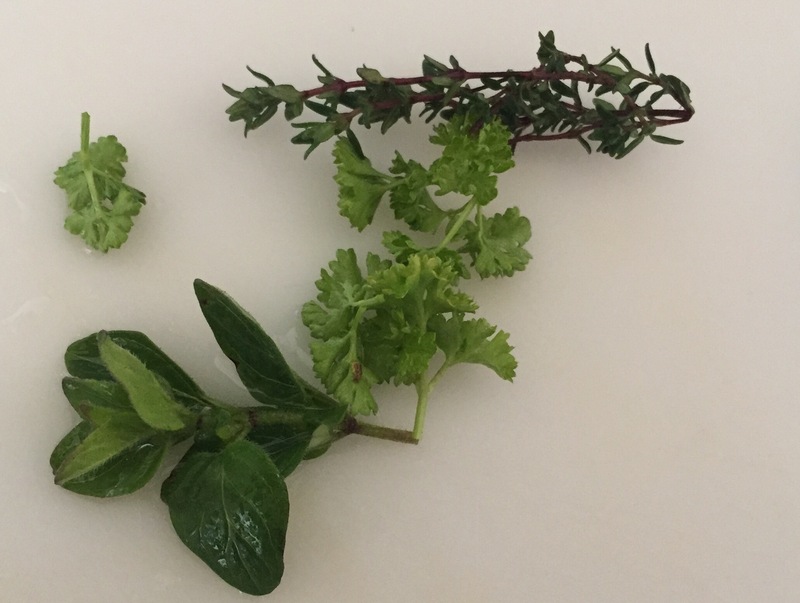 Rinse and finely chop the herbs. 2. 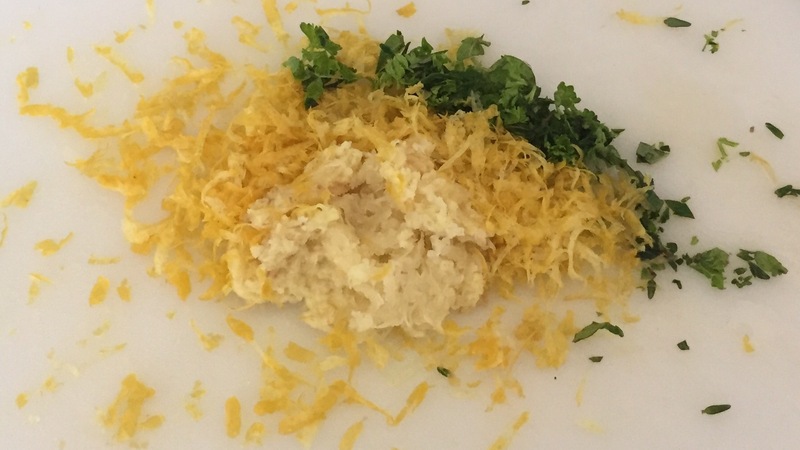 Finely chop or grate the ginger (don’t worry we didn’t use THAT much ginger) and garlic and remove the zest from the lemon. A fine grater or microplane is the easiest tool for this job. 3. 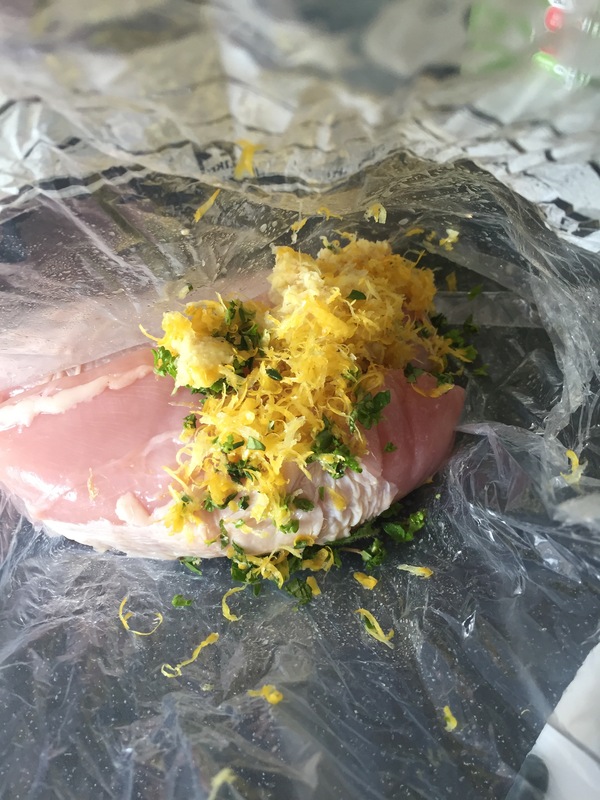 Put the chicken breasts into a sealable plastic container or freezer bag. 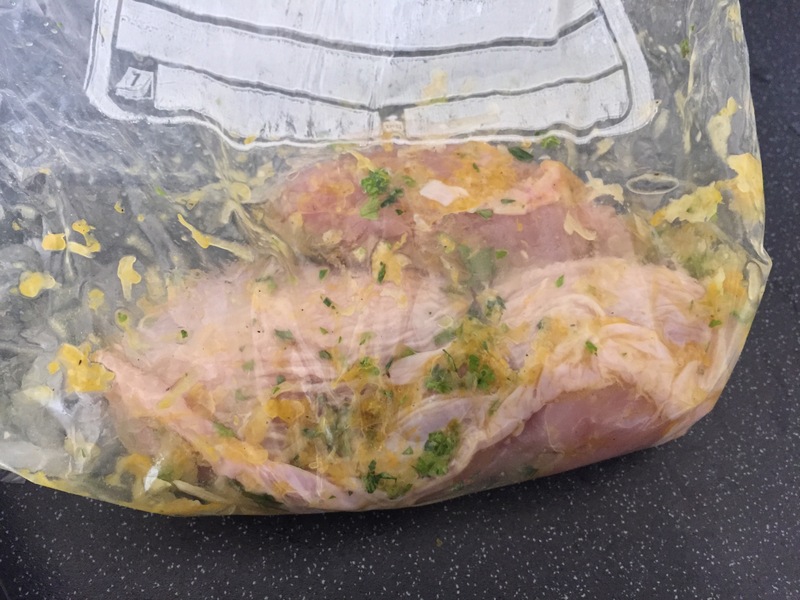 This reduces washing up and keeps the chicken fresh whilst it’s marinating. 4. Add the chopped and grated ingredients to the bag or box. 5. 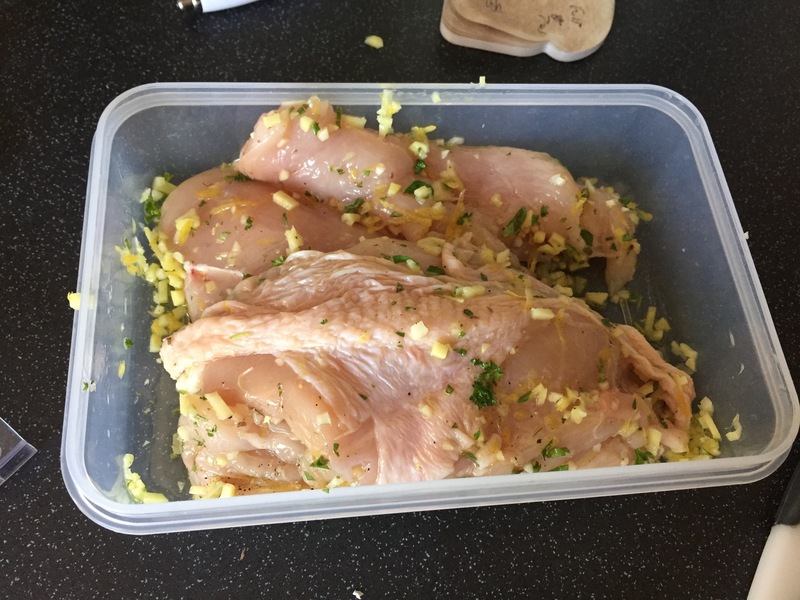 Pour in the olive oil, add the pepper, and mix everything together well, distributing the various flavourings as evenly as you can between the chicken breasts. 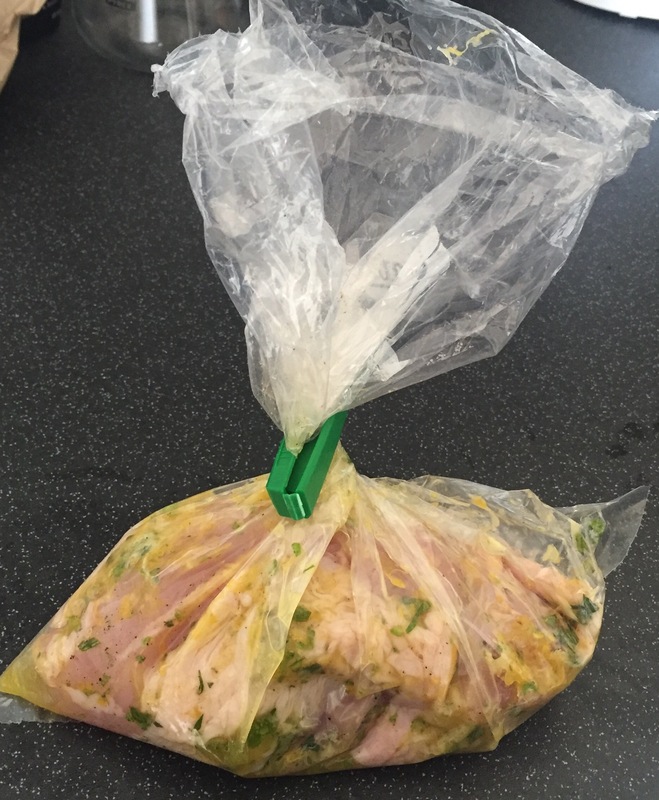 If you’re using a freezer bag, you can really massage the marinade into the chicken (from the outside!) without getting your hands dirty. 6. 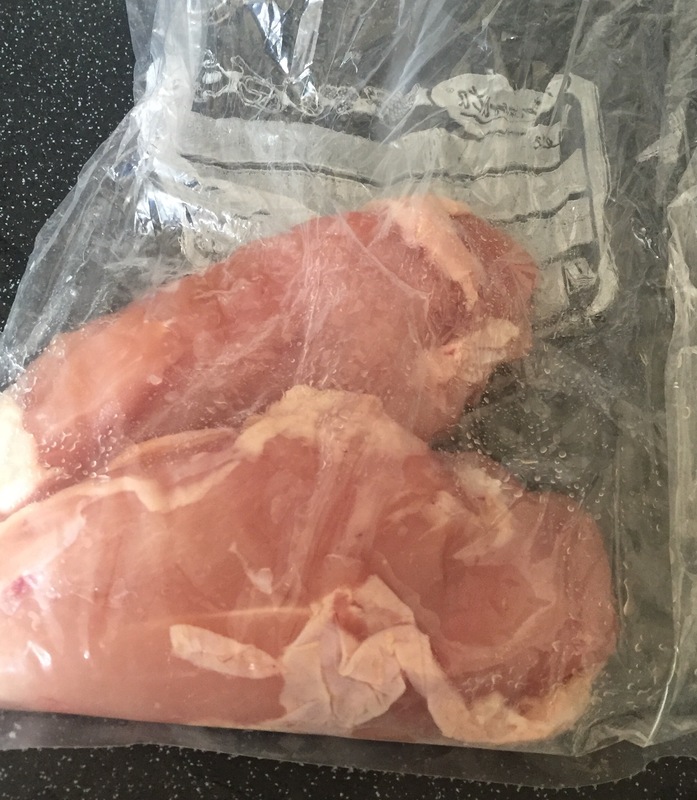 Seal up the bag or box and pop it into the fridge for at least an hour, removing from the fridge around half an hour before you plan to cook it. When we did this one on the BBQ, we butterflied the chicken to reduce its cooking time to make sure it could be cooked through without burning on the outside (we don’t have a photo of the BBQ version because it wasn’t worth looking at by the time we had finished stabbing it all over to make sure it was cooked!) 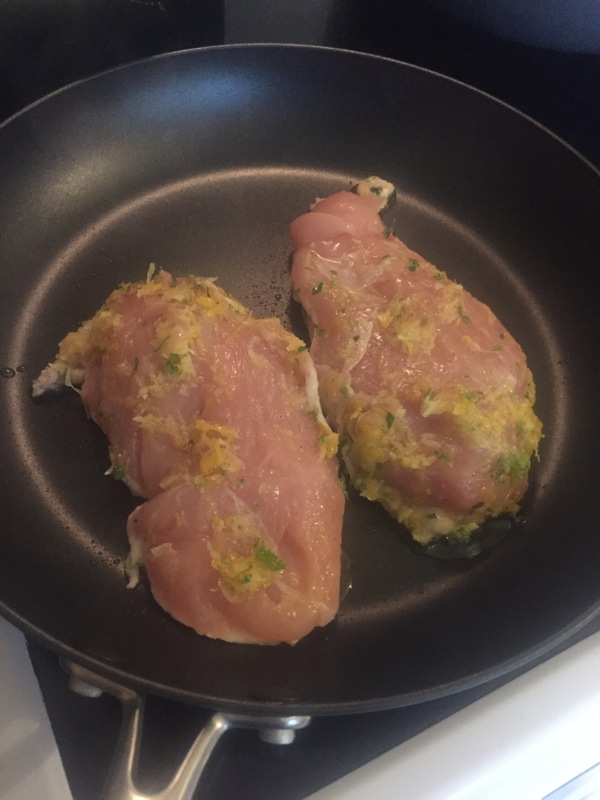 but by controlling the temperature on a frying pan, or by browning and putting in the oven to cook through, you can manage moist, tender, safe to eat chicken without butterflying it.